b. Group fabrics that will play well together and come up with a plan. 3. My sewing desk is more organized. I carried over a few projects so January’s finish was a from 2016…as are a few others on the list. I am still very happy with what I completed as many other projects come up besides the ones on the list. Snow days have been very helpful for getting to this point and I am thrilled. So, here is my list….. Previous Post A finish and a challenge for me. Next Post Are you good at homework? Great list very organized. I really like the form you used, it is very pretty. Thank you, Cheryl. I can't take credit for the form. 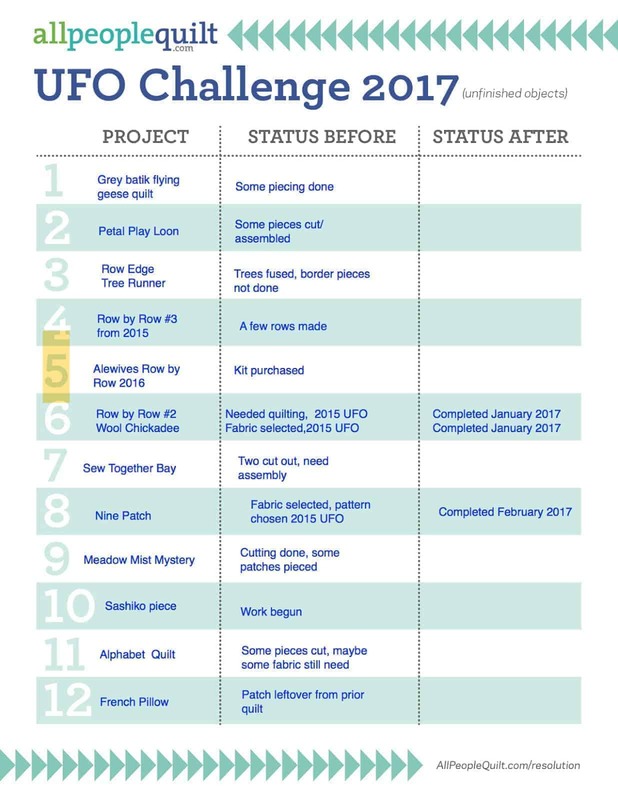 It comes from the AllPeopleQuilt.com site for their UFO resolution for the year.